Looking to chow down on some modern American fare? A new spot has you covered. Called Quality Eats, the fresh arrival is located at 3 E. 28th St. (between 5th Ave & Madison Ave) in NoMad. This is the third location for the American comfort food eatery and steakhouse, which has other outposts in the West Village and Upper East Side. For starters, expect to see appetizers like steak tartare with bone marrow butter and radishes, roasted beet tabbouleh with kabocha squash hummus and hamachi crudo with coconut and chili mango from the raw bar. Switching over to entrees, there's a variety of steak dinners on offer, like hanger, grilled skirt and sirloin strip. If you're in the mood for something different, look for dishes like chimichurri grilled salmon, leg of lamb steak with anchovy butter and "The Patty Melt Club Burger" with spicy slaw. Franny A., who was among the first Yelpers to review the new spot on February 21st, said: "I ate here the opening night. I'm a big fan of Quality Eats and this newest outpost is blocks from my office, as well as close to home. The ethos of updated American comfort continues here in a big, beautiful space." Yelper JD D. added: "Went on their second night they opened...felt like they had been there for years. Excellent service, restaurant was packed. Hadn't even been waiting long for main course when waiter brought us a free monkey bread and actually apologized for the main course taking longer than expected." And Nikki A. said: "Such an amazing mix of quality and classic foods with a unique twist. 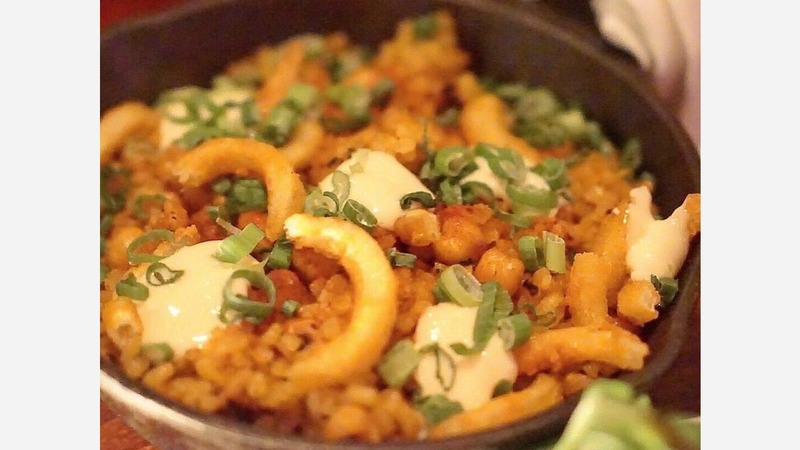 The chickpea skillet rice , served in a mini skillet, features a flavorful blend of rice, chickpeas, scallions, garlic aioli and pieces of crispy, curly fries." Swing on by to take a peek for yourself: Quality Eats is open Monday-Thursday from 5pm-11pm, Friday and Saturday from 5pm-midnight, and Sunday from 5pm-10pm.